If you're thinking about building a new green home or remodeling your current home to be more green, then check out these helpful tips and tricks from our featured article in Boulder Home and Garden Magazine here. The design of this green, warm, modern mountain home was inspired by the way one ascends the challenging sloping site. Enter through the covered front entry and walk into a beautiful tiled foyer. Follow the sculptural hickory stair as it winds its way up to the airy center of the home. It lands dramatically at the grand fireplace in a way that feels like you’re entering a beautiful treehouse for grownups. In front of you, the great room’s wall of glass opens to a large floating covered deck and expansive views of the Boulder plains. The sunny, open floor plan and double French doors connect the gourmet kitchen, dining room, and great room to both the front and the back of the house, where a large flagstone patio is terraced into the landscaped hillside. The stair continues above the great room to a floating walkway that delivers you to two flanking bedrooms. The main floor master bedroom has a walk-in closet, a 5-piece bath, and a private balcony. We’re proud to announce that Kirsten Snobeck was awarded “Associate of the Year” by AIA Colorado North for 2015. Her exemplary design skills coupled with her historic preservation and sustainability service to the profession and the public distinguished her among her peers. 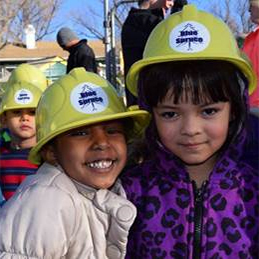 Additionally, Scott Chaired AIA Colorado’s Honor Award Jury this year and was recognized by the AIA for “Community Service by an Architect” for his work helping to create CGBG’s Boulder Green Home Tour. Rodwin Architecture & Skycastle Construction were recently featured in an interview with CNTV, with in-depth questions on the firm's philosophy and capabilities. Check out the full interview here. 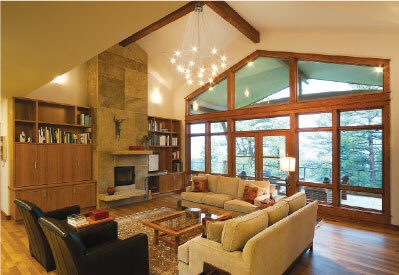 Rodwin Architecture's Art Box was recently featured in Boulder County Home & Garden Magazine. Grab a copy or visit the website to find out more about this unique home! 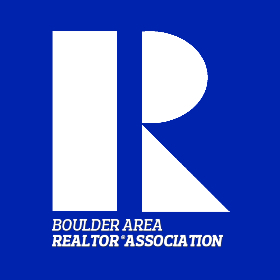 Don’t miss this popular 2 hour seminar taught by Scott Rodwin and Kirsten Snobeck through the Boulder Area Realtor Assoc. (BARA). Want to know what you are allowed to do with a property? We answer the common questions: “How big can I build?”, “Can I build here?” “How much does it cost?” and a hundred more of the most frequently asked property owner/buyer questions. This information-packed class includes an overview of Historic Landmark designation, floodplain, energy codes, The Compatible Development Ordinance, and the County Site Plan Review process. Boulder has some of the strictest and most complex regulations in the Country. Come get informed (and if you’re a BARA member, it’s free and you get 2 Continuing Ed credits). This workshop typically sells out so reserve your spot today.